Rutger was born in 1978 in Apeldoorn (The Netherlands) and now resides in Rotterdam. 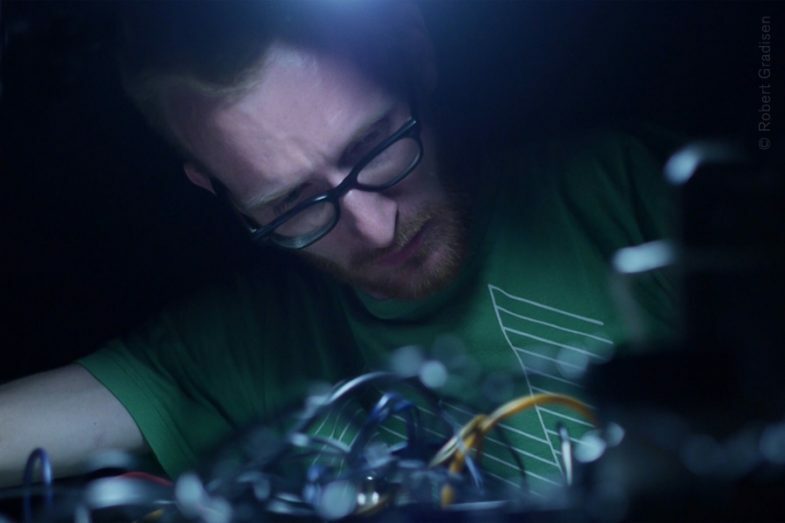 He started recording as Machinefabriek in 2004. After a series of self released cd-rs, his official debut Marijn was issued in 2006, with great critical acclaim. Since than, a solid stream of music was released on labels such as Type, Important, Home Normal, 12K, Entr’acte, Dekorder, Miasmah, Consouling Sounds, Experimedia and Staalplaat. He performed all over the globe, from Canada to Israel and from Russia to Japan. He frequently works with film makers, like Makino Takashi, Mike Hoolboom, John Price, Paul Clipson and Chris Teerink, for whom he composed a soundtrack for his documentary about Sol LeWitt. Rutger also recorded the music for the Canadian drama The Cold and the Quiet from 2014. Furthermore, his music was used in Edward Burtynsky’s Watermark, the drama Stone (with Robert DeNiro and Edward Norton) and Josh Fox’ influentialGasland and Gasland Part II documentaries. Besides films, Rutger also composes music for dance pieces, like Alix Eynaudi and Kris Verdonck’s EXIT(premiéred at the Haus der Kulturen der Welt, Berlin), Alexander Whitley’s The Measures Taken (for the Royal Opera in London) and Beheld (for Candoco Dance Company), and multiple pieces by Spanish/Dutch choreographer Iván Pérez. Then there’s Rutgers installation work, in which the dialogue with the environment plays an important role. He did projects for Stedelijk Museum Amsterdam, NAi (Dutch Architecture Institute), the new Armando Museum MOA, Sounds Like Audio Art in Saskatoon (Canada), the Into the Great Wide Open Festival, Netwerk in Aalst (Belgium) and children’s museum Villa Zebra in Rotterdam. There’s a first time for everything, and in 2016 Rutger completed his first video game score, for the American sci-fi adventure Astroneer, launched in December that year.